This is one of my lovely cakes ever to make. As a home baker I have a small group of loyal customers, most of them now trust me so much that I get to design and choose myself the flavours of the cakes. The lady who ordered this cake was a first time customer. First I had to convince her how good my cakes taste (It took me a while). Lol. Then came the design part…she eventually accepted my proposal (I did not deviate much from her idea.) 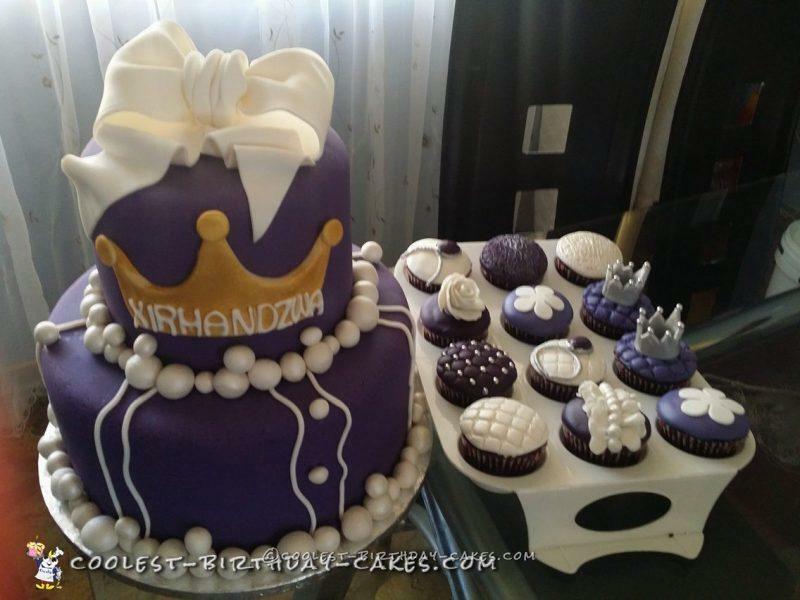 I told her “I bet you have never ever eaten a cake as good as the one I am going to bake”…. (she opened up her eyes). I could sense that this wouldn’t be a easy deal. I baked a chocolate rich cake and vanilla cake. Two flavours in each layer with ganach filling. As I was baking the chocolate cake, the power went off. It happens a lot here. (I think is time to buy a generator). I knew I had to wow the birthday girl. After not sleeping at all, I put all my love on it, and the cake was done. My son helped with the white balls. 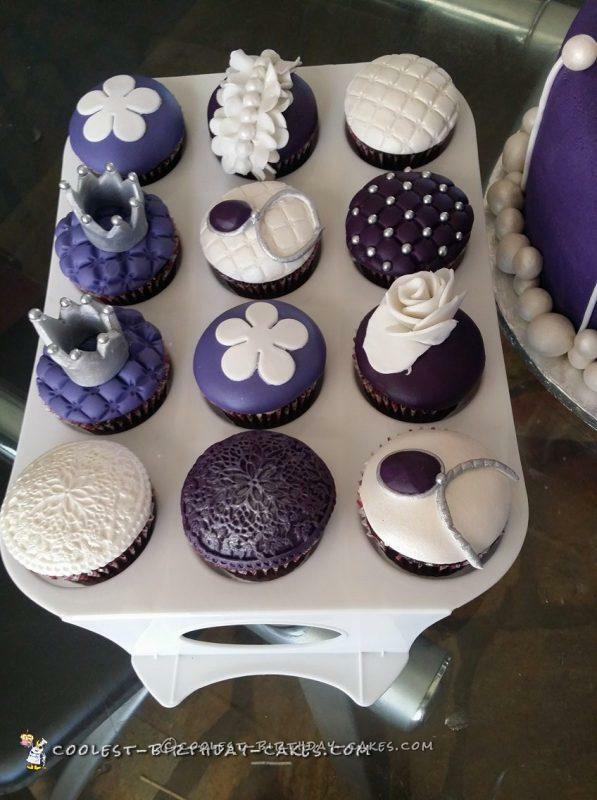 The cupcakes were to compliment the princess theme. I didn’t see the lady on collection, she sent her hubby. The following day I got her message. She was over the moon, so was I.